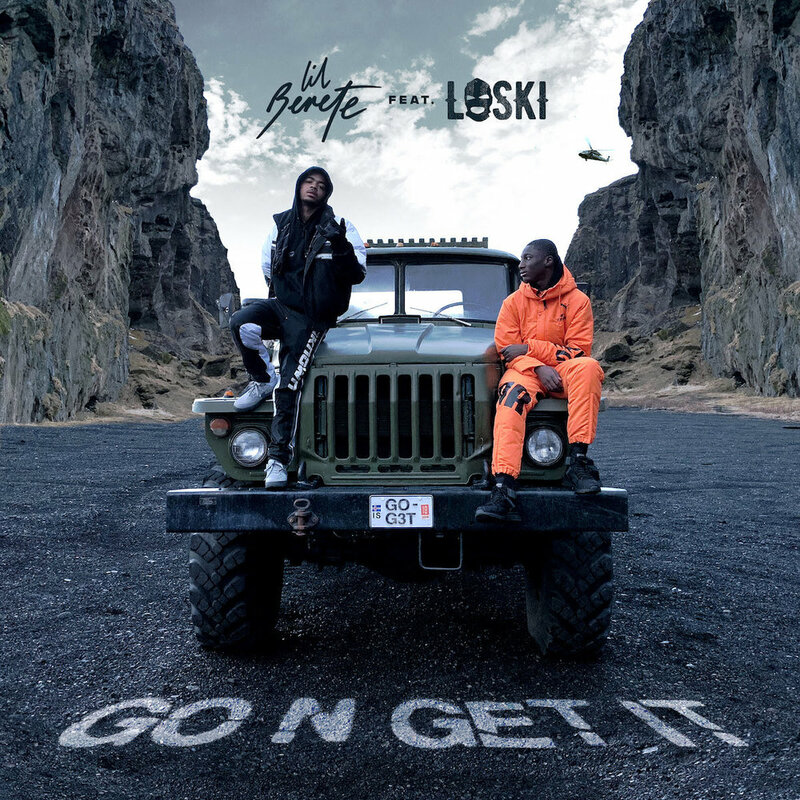 The black beaches and desolate landscape of Iceland provide the perfect location for Lil Berete and Loski’s ‘Go N Get It’ video. The two rappers met up on the island that sits almost equidistant between their native cities of Toronto and London, and the result is a visual refresh for both artists. With Lil Berete now banned from filming in his home estate of Regents Park in Toronto, the location of almost all of his previous videos to date, ‘Go N Get It’ visually and sonically takes both artists away from their homes and into bold new territory. Produced by 169 (who scored a #1 record with Dave and Fredo’s‘Funky Friday’ as well as a top 10 with Headie One’s 18HUNNA) and recorded in London, ‘Go N Get It’is the collaboration that should deservedly expose both young rappers’ talent across either side of the Atlantic. With over 6 million streams on his debut project, Icebreaker, Lil Berete’s distinctive voice, raw talent and dynamic flow have a measured duality of confidence and vulnerability. So it makes sense that Lil Beretecites Akon, T-Pain, and Young Thug as his sonic influences. Combining his own gritty Toronto-fused slang with the influence of his mother’s music and art from her homeland of Guinea, Berete has quickly created his own unique lane in Toronto's burgeoning underground rap scene.